This product will become obsolete on the 31st of March. Contact us on 0141 771 7749 for more information regarding support. Please note: this product is now obsolete. Contact us on 0141 771 7749 for more information on support for this item. View the BW GasAlert Extreme for NO2 detection. It’s an intrinsically-safe, compact and lightweight single gas detector with various sensors available. The ToxiRAE II features a stainless steel alligator clip which is corrosion-resistant. The monitor can be securely clipped onto a shirt pocket, hardhat, shoulder strap or belt to ensure the detection of NO2 is carried out safely. 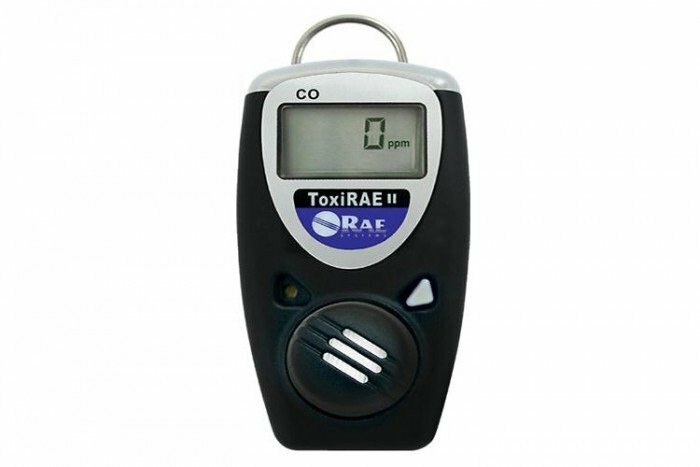 Asides for its cost-saving benefits, the ToxiRAE II is packed full of features tailored to detect and alert you to the gas the sensor is specified to detect. It does so via 3 distinct alarm types: audible (90dB at 10 cm), visible (bright red/green LED bar visible from top, front, and sides) and sensory (built-in vibration alarm).